Donations to the NCCF Disaster Relief Fund for Hurricane Matthew recovery are matched dollar-for-dollar, up to $50,000, by the Duke Energy Foundation until May 1. The matching campaign is in response to ongoing long-term recovery needs in eastern North Carolina. Although the TV cameras have left, the NCCF Disaster Relief Fund is still at work, helping communities rebuild and recover from Hurricane Matthew. Click here and give now to see your donation matched dollar-for-dollar. For offline methods of donating, please click here. Michael's Angels is on the front lines in Tarboro, still helping with hurricane recovery efforts. 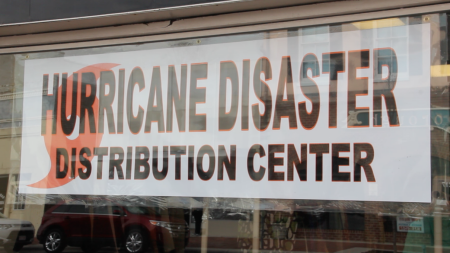 The Edgecombe County nonprofit is one of many in eastern North Carolina supported by the NCCF Disaster Relief Fund. To learn more about the ongoing long-term recovery effort happening through the NCCF Disaster Relief Fund, click here. To read one father's experience with Hurricane Matthew, click here. Click here and give now to see your donation matched dollar-for-dollar.